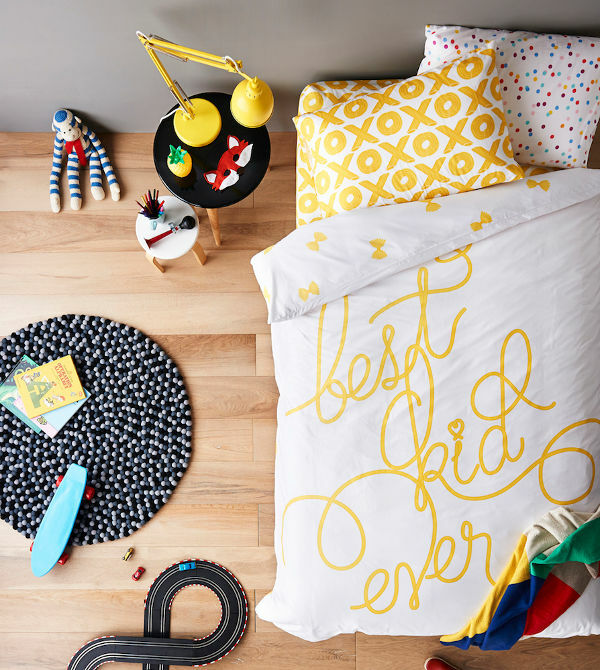 The début collection from this new Australian label will ensure your children’s bedtime is as sweet as possible. 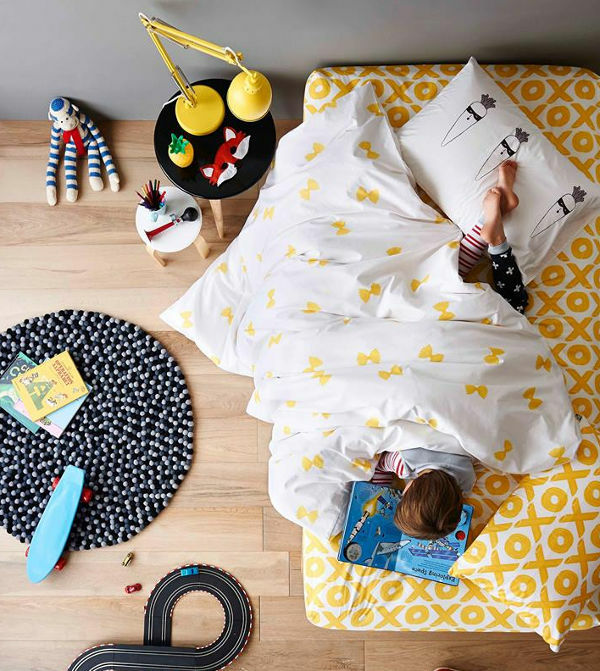 While the monochrome trend that’s currently sweeping interior design for children’s spaces has its contemporary charm, if your kids are more enamoured by the bright, colourful and fun , we’ve found the perfect linen! Introducing Sack Me – a brand new Australian label that has already created waves on the local landscape. The début collection is titled Haute Bites, and it certainly packs a punch. 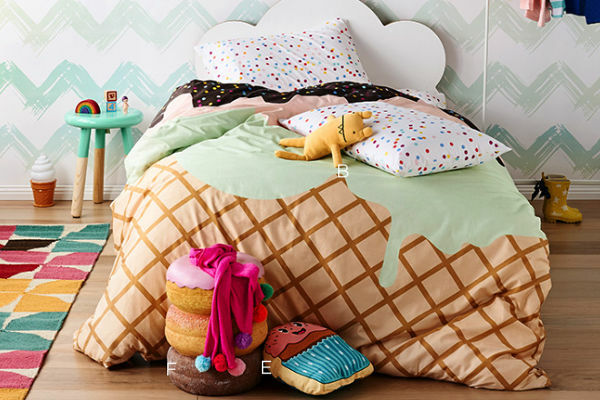 There’s a flavour for just about every child’s taste in linen, with plenty of food-themed fun. Sack Me’s products include fitted sheets in cot, single and king single bed sizes, single and double quilt covers and pillowcases. The pick of the bunch has to be Sunday Sundae, which looks good enough to eat. There’s also Pasta Amore, with its sweet words. And the monochrome lovers aren’t left out, thanks to Green Mob – linen inspired by vegetables. 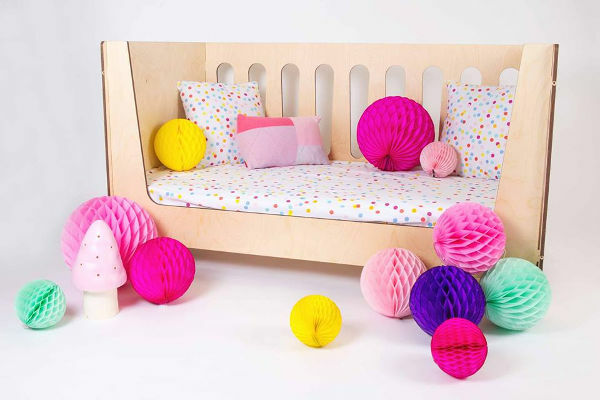 The linen is made from cotton sateen, and is Oeko-Tex certified. 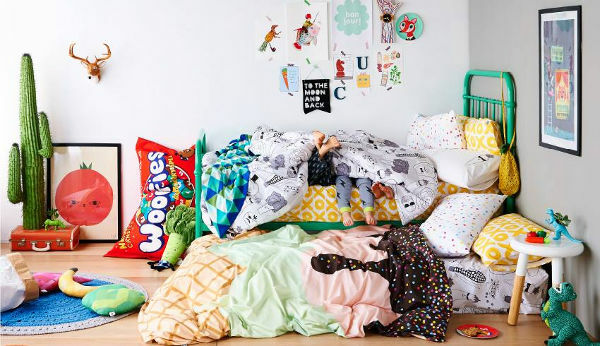 Fitted cot sheets cost $49, the bed fitted sheets start at $69 for the single size. Quilt covers start at $149, and standard pillow cases are $35 each. Order directly from Sack Me – postage is a flat rate of $10 within Australia, or $20 for express shipping within Australia.